This variant of Volkswagen Vento certainly gives you a very IPL feel. The fifth season of Indian Premier League is about to kick off next month and VW is trying its level best to make the most of this opportunity just like last year. 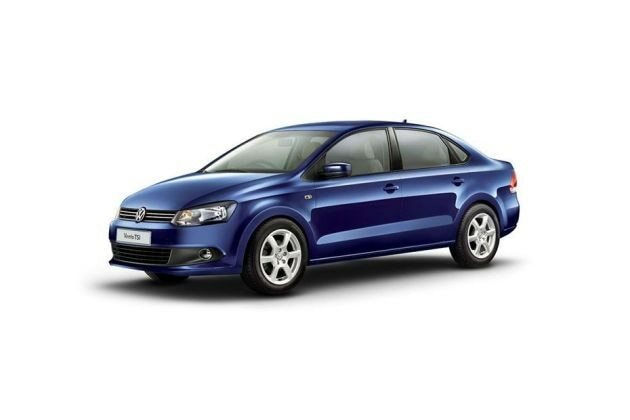 The company has launched VW Vento IPL Edition II 1.6L Petrol Highline AT with many interactive features. Under the skin, the car comes with a 1.6 litre of three cylinder diesel engine that is capable of churning out peak power of 105 PS at the rate of 5250 rpm along with peak torque of 153 Nm at the rate of 3800 rpm. The engine here has been intelligently mated with six speed automatic gearbox that ensures the owner with a smooth and bump free ride. The engine is pretty frugal and manages to deliver a decent mileage of 10 to 14 km per litre. On the other hand, the IPL feel in the car is given by IPL logo embossed on the door sills, while the IPL logo floor mats are mesmerizing. The very comfortable and posh leatherette seats are another underlining feature. Technology wise, VW Vento IPL edition II highline AT doesn’t disappoint at all. The car sports social networking options, inbuilt navigation system, interesting car pad with touch screen multimedia display, iPod control, Bluetooth, micro SD and mini UDB interface.